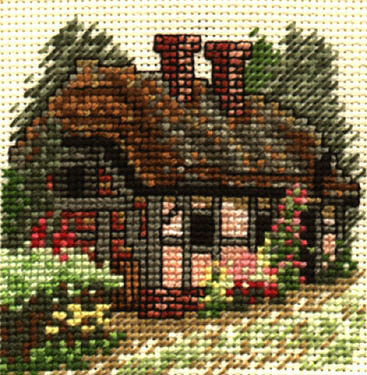 I'm almost done posting all my old stitching (well, the stuff that I have photos of, since I've given some away over the years). It's nice to have an almost complete record of all my projects! I'll probably post photos of some of the old large projects that still need to be framed (or re-framed in some cases) when they are finally totally finished. 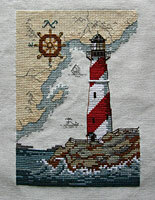 First is a DMC kit that I stitched mostly while on vacation in Maine on vacation a couple of years ago. It's still in the unframed pile. Next are two Cross My Heart cottage magnet kits that I got at the Spirit of Cross Stitch festival many years ago... they were both on the little refrigerator in my office, but unfortunately one of them was lost somewhere along they way (the one on the left). Someday I'll have to get a replacement for it, since I like the Tudor-like half-timbered design. Next up are the remainder of the various Textile Heritage miniatures that I've bought on various trips to the UK over the years. The one of the left are the four national symbols of the British Isles - the rose for England, shamrocks for Ireland, a thistle for Scotland and a daffodil for Wales. 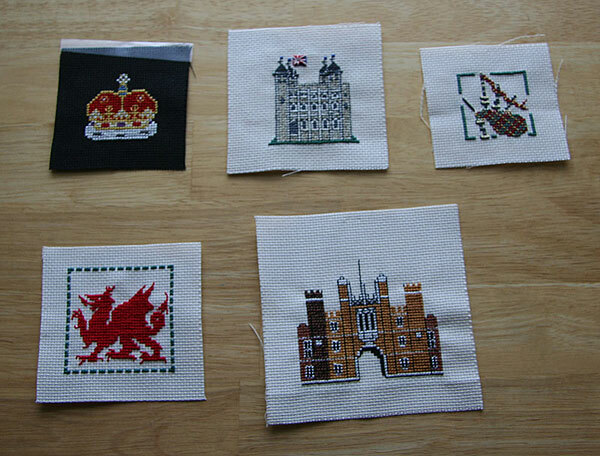 The picture on the right are (clockwise from upper left) - the crown of Scotland, the White Tower of the Tower of London, bagpipes, Hampton Court Palace and a Welsh dragon. 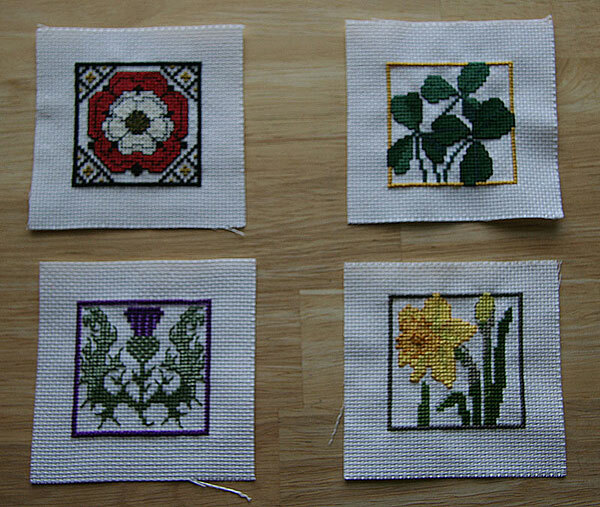 And this final image is another of the Textile Heritage bookmarks that I've stitched. I still haven't finished this one or the Tudor rose one with a backing fabric or ribbon, but that is part of the goals for next year. More about those goals below. So, now the stitching goals for 2008. The goals are two-fold... the first is to put the finishing touches on some of the unfinished projects that I've been posting about here. 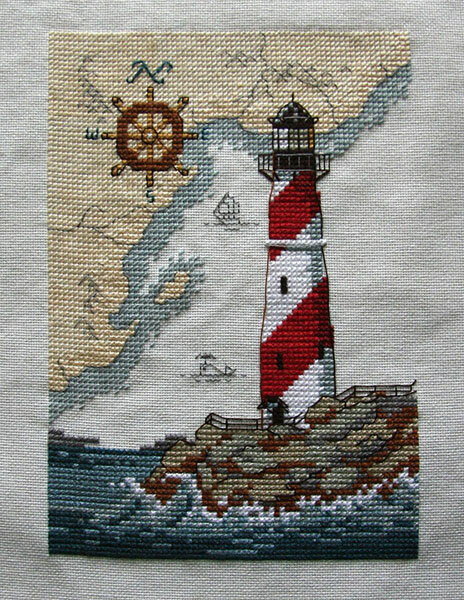 There are a lot of things that need to be framed or otherwise completed beyond the stitching. My other big goal is to start working through the kits in my stash. I have lots of leaflets and magazine patterns that I want to stitch but the kits take up a lot more room. 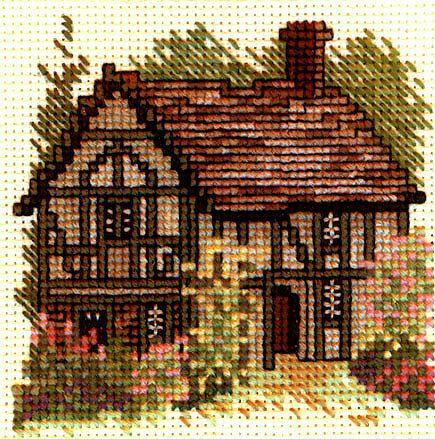 :) I have four fairly large Christmas-themed kits, so I'm sure I'm going to be stitching one or more of them at some strange time of year (like July), but that hasn't stopped me before (most of Celtic Christmas was stitched watching baseball). for a good idea on how to finish these lovely pieces visit my blog, look for a post about scrapbooking. You have some great work here.